For Simon Marcus, things weren't always easy growing up. The nickname "Bad Bwoy" was the real thing when it came to this GLORY middleweight contender. Growing up in Toronto, Simon was raised in a West Indian household, and 'bwoy' was the Jamaican pronunciation. However, his Caribbean heritage which he keeps close to his heart and strong parental role models couldn't keep the young Simon out of trouble. He had multiple run-ins with the law and was expelled from high school at just fifteen years old. But what transpired next, from that unfortunate incident, turned Simon's life around. 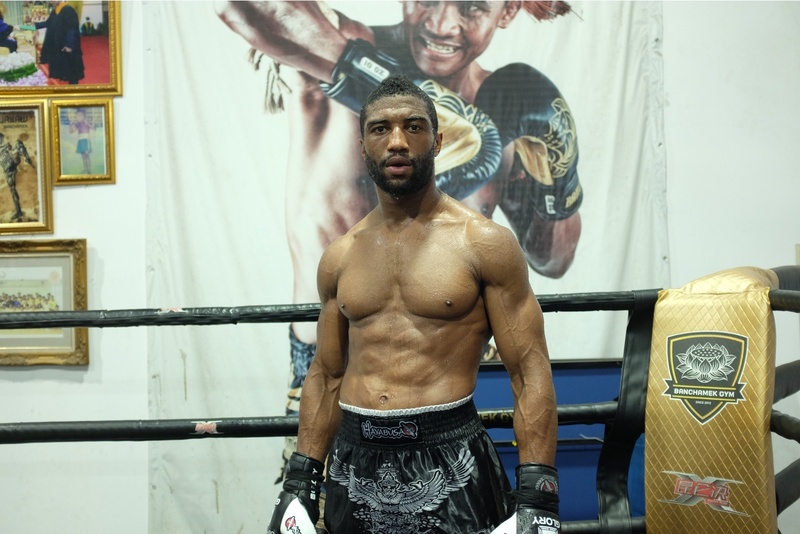 On April 29th Simon Marcus will attempt a second run at a GLORY middleweight title against current champion Jason Wilnis, a man he had previously defeated by split decision. Their first fight took place in 2015 in the final round of a middleweight contender tournament. It was this first meeting that gave Simon the chance to challenge then champion Artem Levin for the title. A controversial draw and the champion retained his crown but Marcus was not to be denied. His dominant performance meant he got a rematch and in 2016 he made a visibly frustrated Artem Levin refuse to get up for the fourth round. Marcus was now King of the Middleweight division. A successful defense of his new position was followed by an upset loss to the returning spectre of Jason Wilnis. Now Marcus has another chance at the title after finishing off 2016 with two solid wins. This will be his debut for the year 2017. "This is a very important fight for me because I feel my loss to Willis was of my own fault. I know I am the true world champion in my weight class and am excited to prove it once again." Back when he was still having trouble and forced to change schools, Marcus ended up stumbling on something more: a Muay Thai gym that kickstarted his life into a new direction. Under the guidance of Master Suchart, a Thai native, Simon found his outlet. Being next to Simon is a fascinating experience. To describe him is an exercise in using superlatives. He towers over the average person and with nearly a foot in height difference between us, it was hard not to imagine what his opponents must feel in their less confident moments. His incredible musculature, the result of gruelling training and great athleticism, is something else entirely up- close, in-person, and in action. It is easy to see why he always excelled at sports, and Marcus definitely found a home in Muay Thai. His amateur career was filled with accolades, most notably winning the WKA Amateur North American Cruiserweight Title in 2009. Later that year he turned pro. It was in that same year he met his best friend Buakaw Banchamek, in Jamaica of all places. Marcus was travelling with fellow teammate Clifton Brown who was set to fight Kaoklai Kennorasing for the WMC World Super Light Heavyweight Title and meeting the Thai superstar was a lucky coincidence. Not soon after this, Marcus packed his bags and set off to Thailand. 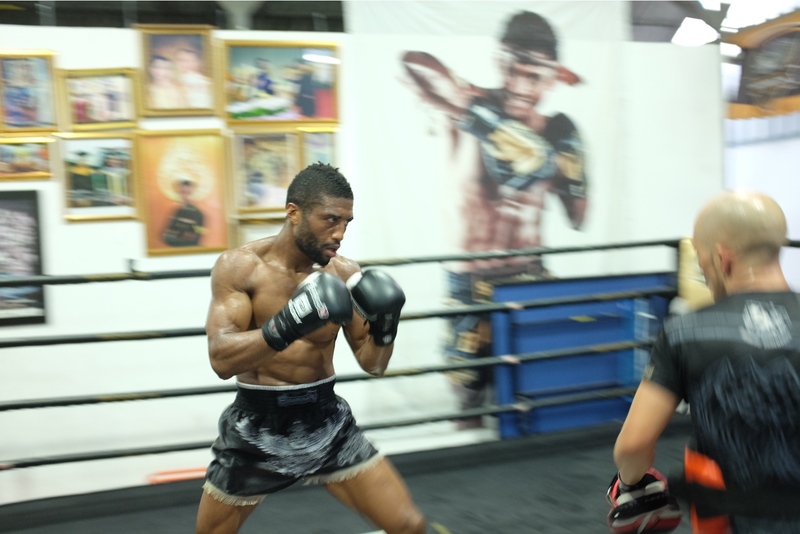 Buakaw, at the time, was still training at Por. Pramuk Gym, located east of Bangkok in Chachoengsao Province. Together Marcus and Buakaw, ate, slept, and trained together for eight months. "It was a real opportunity to see what it takes to be a world champion and train alongside one. I was fortunate that Buakaw took a liking to me; we sparred and clinched daily, allowing some of his high level skills to rub off on me. He invited me to go and visit his hometown, where I got to train also. It was a huge honour." Now, whenever he's back in Thailand, Marcus always seeks out Buakaw as his number one training partner. 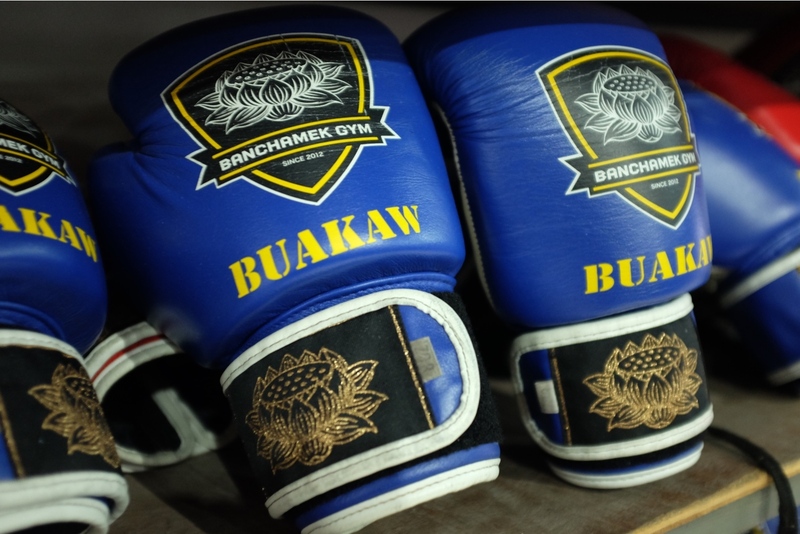 Most recently training at Buakaw's new gym, Banchamek Gym, located in Thailand's capital. The gym has grown immensely in the last few years, signing international superstars Superbon and Petchtannong. It also has a stable roster of big bodies at the gym, like Sammi, who, coming from a small village in Buriram, is considered 'huge' by Thai standards; he fights at 70kg. It's really the perfect gym for someone like Marcus. "I've learned so much from Buakaw, training with him over the years and continue to take my game to another level each time I have the opportunity to learn from him. 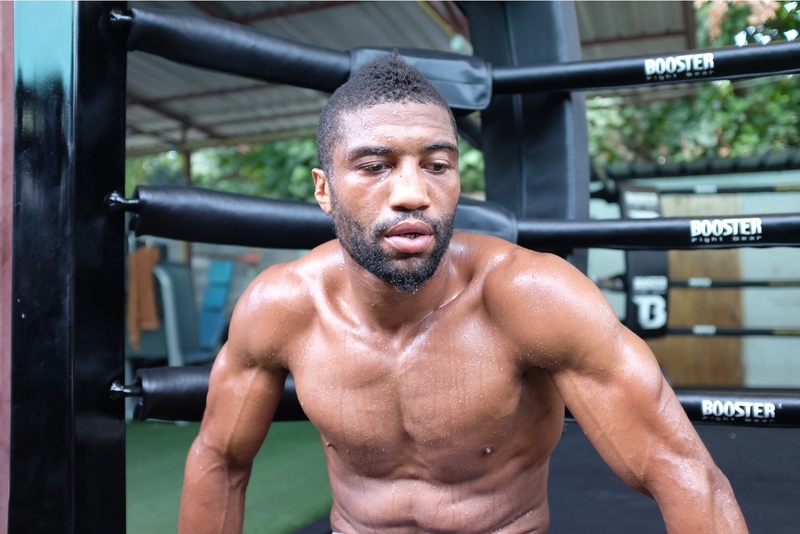 And now at Banchamek, it's also a gym with versatile training and great energy which is also important for me." The gym is much more modern in both facilities and training methods than your typical Muay Thai gym in Thailand. They have a boxing coach on hand full-time in addition to Brazilian Jiu- Jitsu trainers. (It's rumoured that Buakaw might make the transition to MMA sometime this year.) The focus at Banchamek is to develop fighters for the international scene as opposed to the stadia of Bangkok where gamblers often tip out more than fighter purse. Banchamek sends its fighters to compete under K-1 rules in China on a regular basis; the payout often tripling what is being offered in Thailand. Training then reflects and emphasizes the three round fighting style. And while Marcus usually also competes in three rounds, titles fights in GLORY are five. 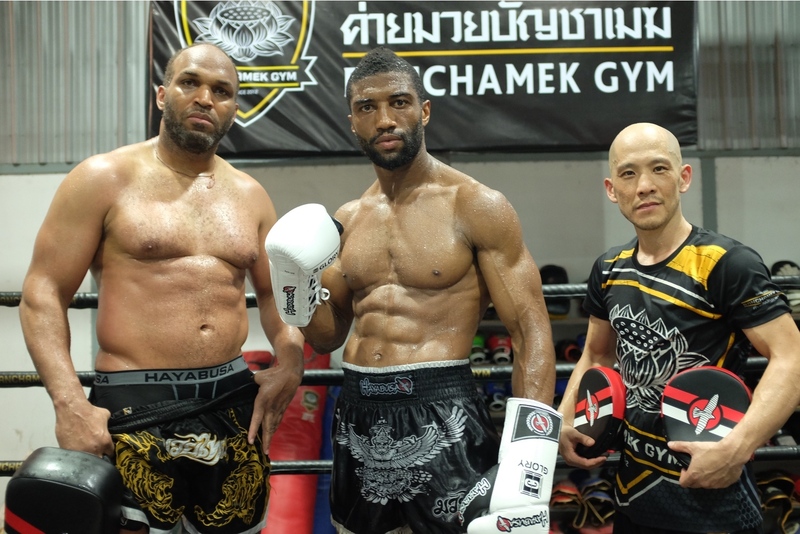 This trip to Thailand Marcus came with his current trainer, Howard Wright. The two have a lot more in common than Muay Thai. Wright's family is also of Jamaican decent and comes from the same place as Marcus' ancestors. "Howard has a high understanding of the strengths and weaknesses of my opponents and can deliver a game plan accordingly. It is important for us to train together and work together as a team for each fight. It wasn't my decision for him to come to Thailand but something he volunteered to do, making sure he was there for me if I needed him in anyway possible. 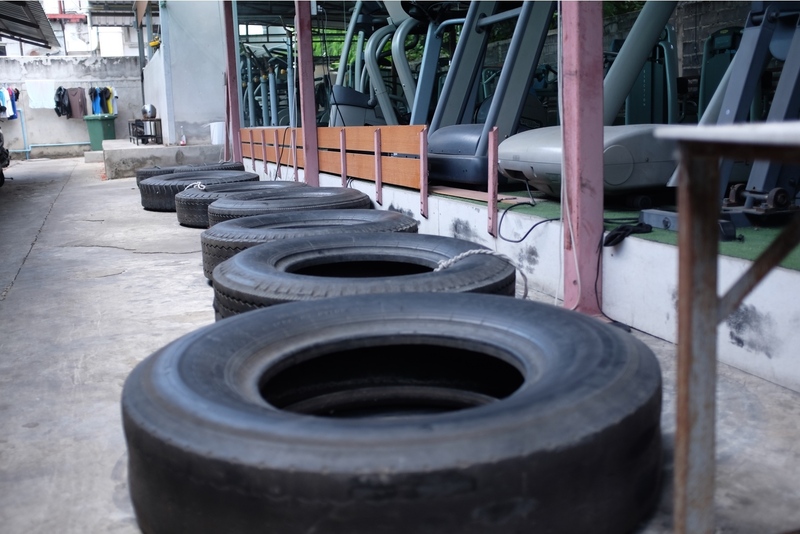 It worked out perfectly because the gym was closed for a couple days during the Songkran but we didn't skip a beat." Self-described as strong willed, Marcus is continually grateful for the support he received from his father. 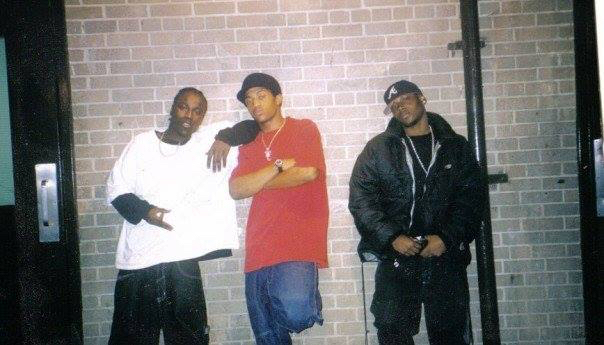 Even during his turbulent adolescence, that landed him in a young offender's facility, his father was constantly uplifting him, seeing the untapped potential in his son. It may have taken him a little longer to see it himself, but it was well worth the wait. The setbacks that Marcus had to overcome has only made him a stronger fighter. Now he exudes self-confidence, in a way only men who were champions do. "Going through adversity helps me never to take what I do for granted. It gives me a greater perspective knowing that I followed my dream to become the best in the world and to always listen to my heart." His two fights with Jason Wilnis proved the mettle of both men. Neither can enter into this fight underprepared. Currently 1-1, the upcoming rubber match on April 29 decides the winner in this trilogy and the GLORY Middleweight champion. For Simon, it's a chance to redeem and avenge a previous loss when he fights on GLORY 40 in Copenhagen, Denmark. It's the reason why the preparation from his team and him has been so demanding, and the answer to what he expects from his training will have to wait a few more days. Now a father of three, Marcus wants to create a legacy in the sport that he can leave to his children. Setting his own standards, he believes that staying focused, being positive, and being thankful for each and every day is the best way to exemplify greatness to his children. His family is hugely instrumental to his successes and continue to support him to this day, even traveling very long distances to cheer him on at ringside. As a role model to both his own children, and those that follow the sport Marcus hopes to give back. "It's always been a great pleasure to inspire others to follow their dreams simply by following mine."